Stallone is ramping up to start production on his latest directorial/acting effort with an original story written by Sylvester himself called "The Expendables." It has been previously announced that Stallone, Jet Li and Jason Statham would be starring in the mercenary story, but Stallone revealed at the red carpet premiere of Statham's Transporter 3 that an old nemsis of Rocky is very close to joining the film as well. 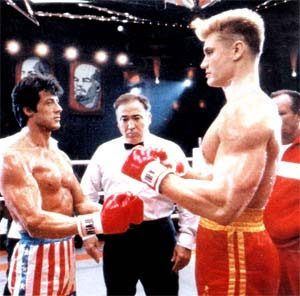 That's right, Ivan Drago aka Dolph Lundgren, should be joing the cast for Stallone's newest! Stallone said of casting Lundgren and others previously announced, "It'll be like a homecoming for the tough guys." 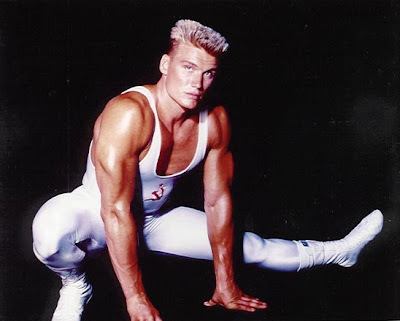 Having Dolph Lundgren in the film alongside Stallone will be a nice gesture, maybe this will give Dolph a jumpstart he has so desperately needed for awhile now. I still have my reservations about this film considering Stallone was quoted saying that the film will shoot for a PG13 rating! With this calliber of stars signed on for The Expendables, a PG13 rating seems absurd! Teens will get into the film regardless of the rating between R and PG13, so stick with a hard R rating!